Entergy Nuclear is taking out lines of credit totaling $145 million to help pay for the transfer and storage of radioactive spent nuclear fuel rods at the Vermont Yankee nuclear power plant. The move will decrease its request to pay for the work from the plant’s $642 million decommissioning trust fund. Vermont public service commissioner Christopher Recchia praised the decision during a hearing at the Nuclear Regulatory Commission (NRC) headquarters in Bethesda, Maryland. , Barrett Green is the chief financial officer of Entergy Wholesale Commodities and head of the Vermont Yankee decommissioning project for Entergy. Recchia participated in the meeting from Montpelier via conference call. Entergy is preparing a formal request to the NRC to use a portion of the $642 million for moving, storing and handling its 42 years of accumulated nuclear waste, largely highly radioactive spent fuel rods. It needs an exemption from NRC regulations to do that. In October, Entergy released its latest estimate of how much it will cost to decommission the Vernon reactor, which shut down permanentlyon December 29, 2014. Of the total estimated cost of $1.24 billion, $817 million will be needed to “terminate” its license and dismantle the plant, and $368 million will be needed to handle the spent nuclear fuel. Entergy plans to mothball the plant for decades, waiting for the radioactivity in the plant to abate and the trust fund to grow. That $368 million breaks down to $143 million to transfer the fuel out of the reactor and spent fuel pool to an expanded dry cask storage facility, and $225 million for operating such a facility. Despite its decision to seek the two lines of credit totaling $145 million, Entergy still wants an exemption from NRC regulations to tap the decommissioning trust fund to help pay for the remaining cost of transfering the spent fuel out of the reactor and the spent fuel pool, and its handling. NRC staff members have said federal law prohibits the use of the decommissioning trust fund for any spent fuel activity. The fund is supposed to be just for the decommissioning of the plant. The NRC has granted exemptions to two nuclear power plants to do just that, and Vermont Yankee and Crystal River in Florida are seeking similar exemptions. The issue goes back to the fact that the federal Department of Energy has not taken ownership of the spent fuel at the country’s 100 commercial reactors and has not built a national depository for spent nuclear fuel. While a federal court decision earlier this fall has renewed the NRC’s study of the abandoned Yucca Mountain site in Nevada, Congress still has to come up with money for the renewed study, Sheehan said. Recchia told NRC staff members that the $642 million fund had been funded entirely by ratepayer money, and the state of Vermont was making sure there was a “ratepayer benefit” to the use of the fund. 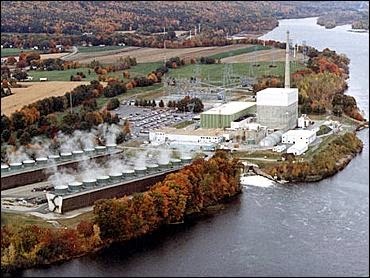 Since Entergy bought Vermont Yankee in 2002 from a group of New England utilities led by Central Vermont Public Service Corp. and Green Mountain Power, Entergy has not contributed a penny to the trust fund, instead allowing it to grow via investments.